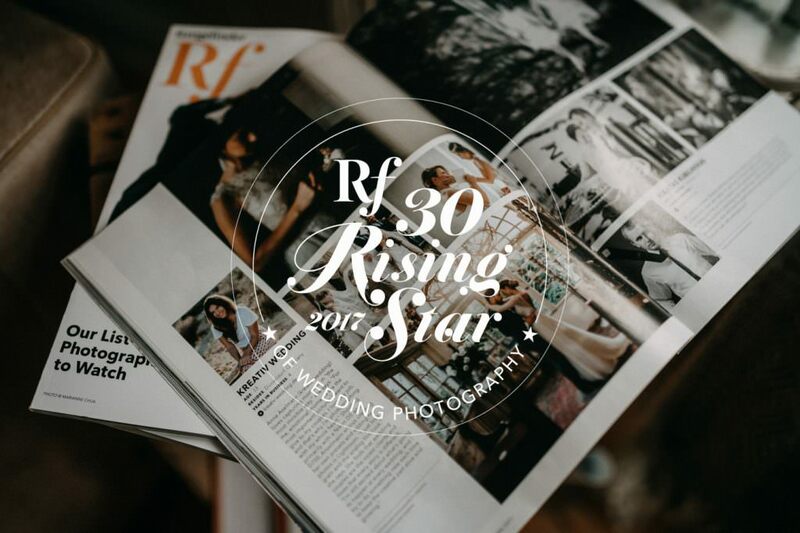 Since November first the 30 Rangefinder Rising Stars are published and I am so thankful and happy to be one of them amongst such incredible talented colleagues. Thanks to all of our wonderful couples who allowed us to be a part of their wedding day. Thank you for the friendships that grew out of our beautiful job and all the countries we were able to visit. 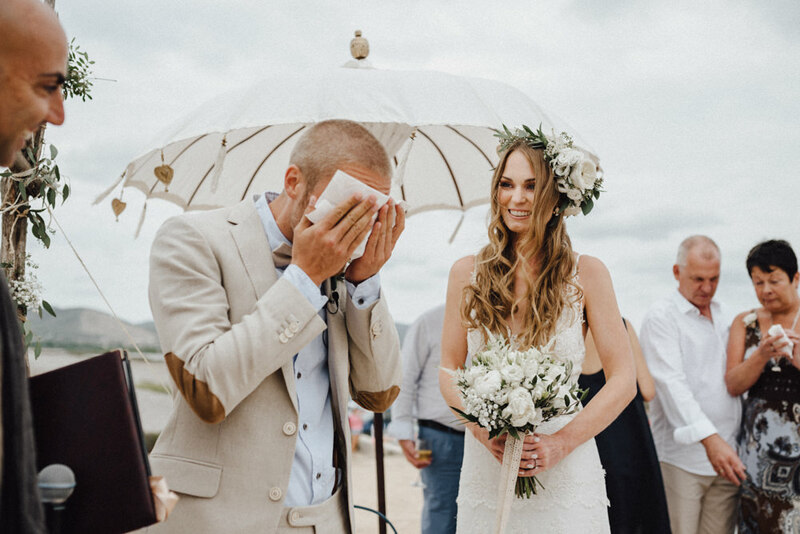 In June we attended a really special wedding on Mallorca. The two are not only colleagues but became really good friends to us. It all started with an inquiry for their wedding.. 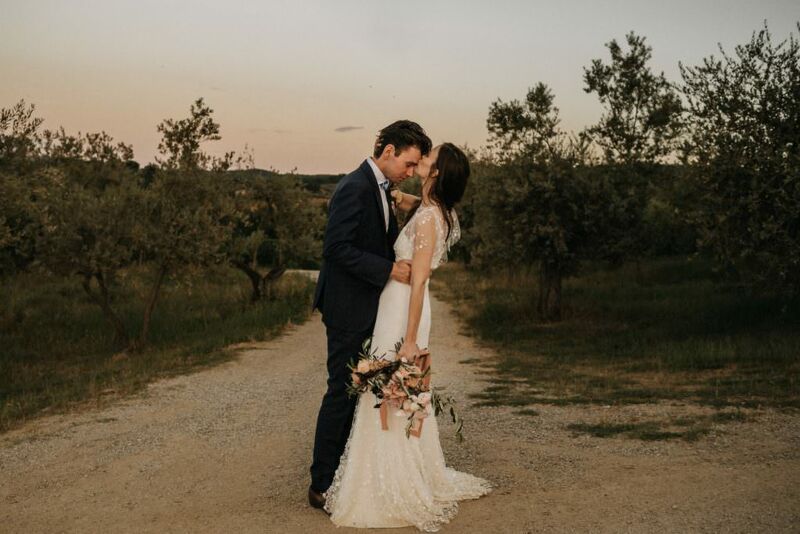 When Dorien and Philippe first came from Belgium to us to Mettmann last year, we were directly smitten with them and totally excited about the wedding in our favorite country, Bella Italia and even in Tuscany, our favorite spot. 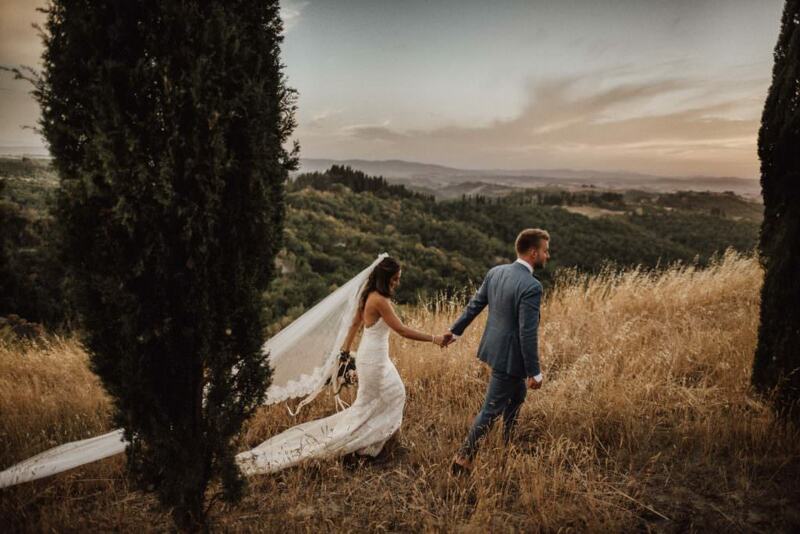 They booked a wonderful venue (Castello di Gabbiano) near Florence for their special day and celebrated the ceremony with their loved ones and a picturesque cloudy sky. If you could chose any place on this planet, no matter how far away from home, which place would you choose to marry? Angela and Johannes from Texas chose Switzerland and said YES surrounded by mountains and flower fields. We were close to just buying a little mountain cottage for ourself and staying there. From the moment Alina and Simon contacted us first, we straight fell in love with them. 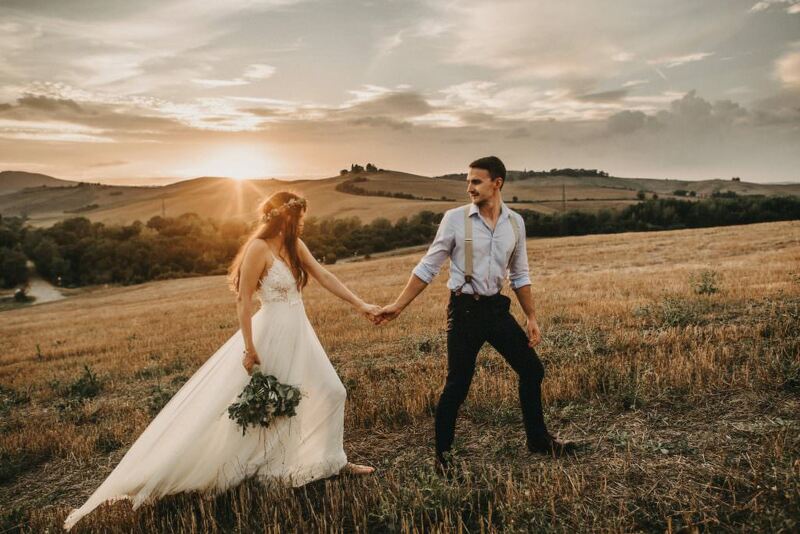 Even though they didn't even knew their wedding location yet, they already knew that it was us they wanted to be in charge for capturing their special moments that were planned to take place in beautiful Tuscany. Coincidentally, we (Anne&Ricardo) were planning our own wedding at the same time and gave them the hint to have a proper look on airbnb. 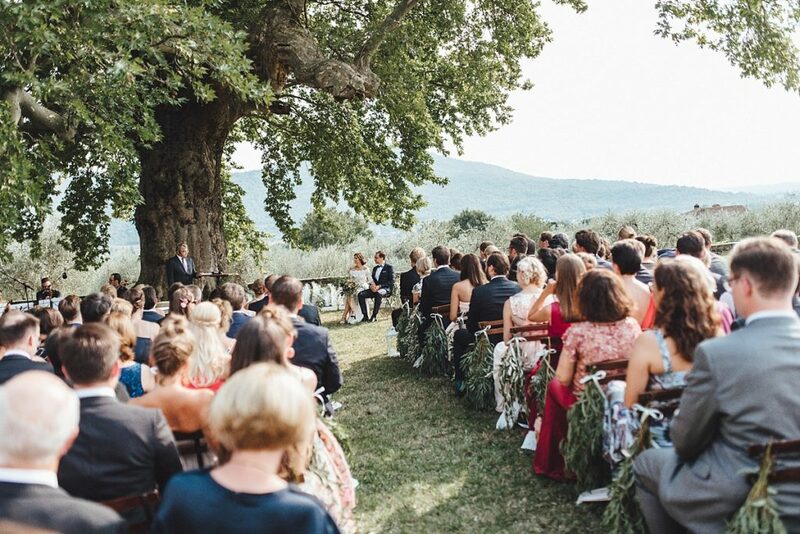 It turned out they ended up booking the same Tuscany dream wedding location we did. Sometimes you see places your mind cannot process its real and not a dream. This is what happened to us when we arrived at the wedding of these beautiful humans. 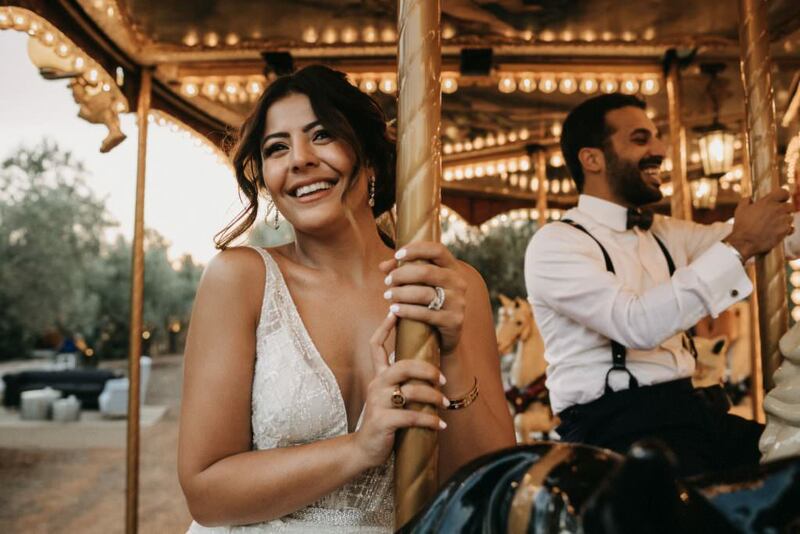 They planned their wedding party at the Margi Farm in Athens and wished for their guests to feel like they are a child again, a child that can jump on the carousel, enjoy the live band, amazing food and cocktails. 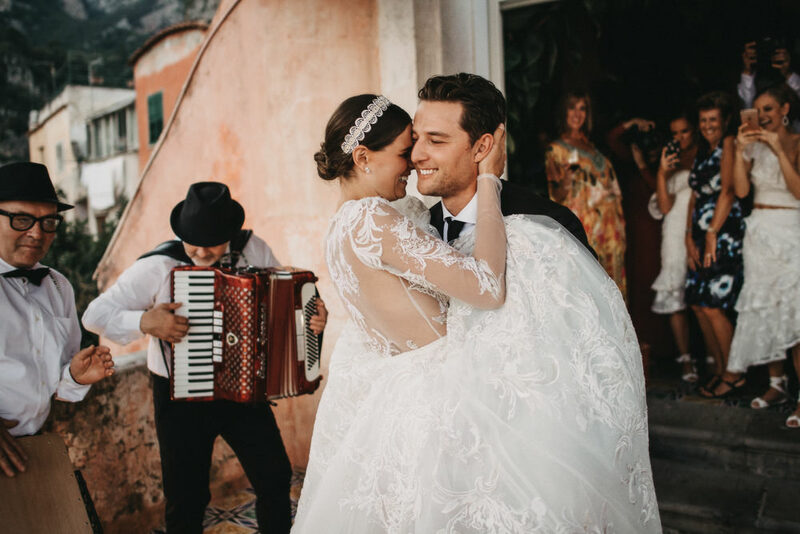 All the way from Australia to Positano, Italy, the couple and their guests travelled for this wedding. Tiane & Dan chose this special place for their special day, to go back to the roots, as Dans family has its roots here. Knowing each other for more than 15 years, this couple is each others best friend and you can definitely sense a deep connection between them. The beautiful island of Santorini with its romantic little blue/white houses did not only made us fall in love but also Taline & Eiki. 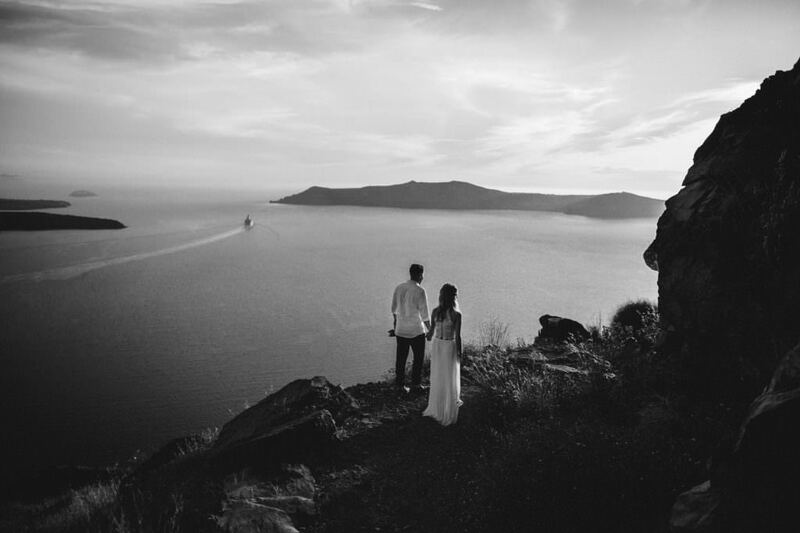 This couple came all the way from Brazil to celebrate their wedding on Santorini. We have been flashed straight away by this love and those sparkles a blind person could have spotted between them. "Hello, my name is Marianna, I am 29 years old, from Frankfurt and a bit crazy when it comes to the topic of my wedding. Let me explain: So far, my boyfriend did not propose but I do expect it to still happen this year so that we will be married latest in two years from now." This was our first communication with her, which, we cant deny it, made us chuckle a bit. When we received the inquiry of Caro and Hans, we were straight on fire! 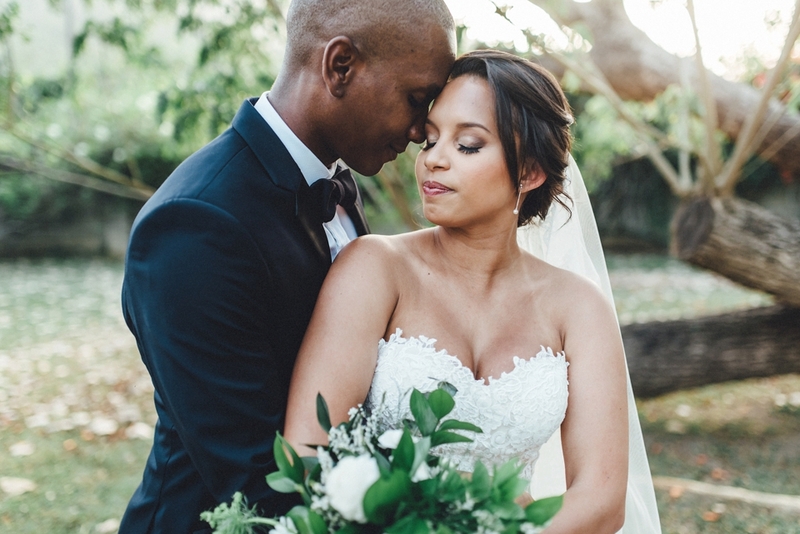 Caro herself is an amazing Wedding & Food Photographer and when she started to describe her wedding and proposal, our photographer hearts melted. 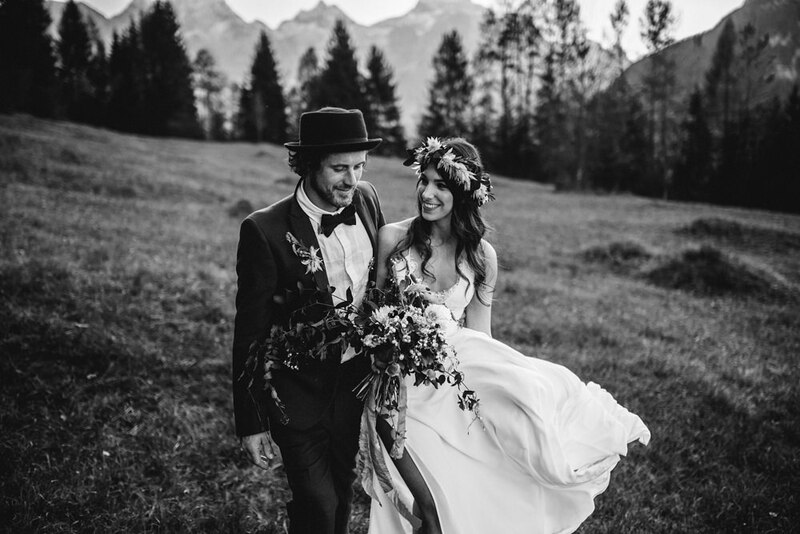 A real tipi wedding right in the middle of the Austrian mountains. This is something we didn't have before and we were super excited about how they will celebrate their love. 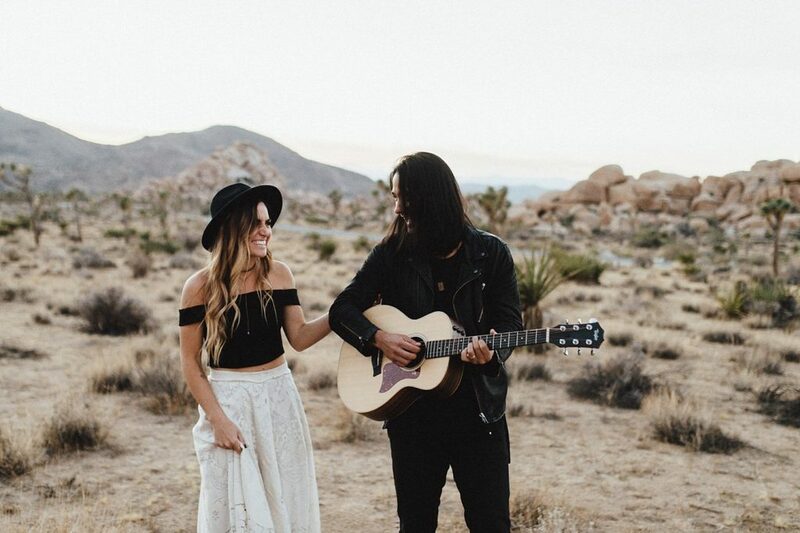 "What really matters to us is that the wedding is super relaxed and everyone feels comfortable. It shouldn't be too hipster, we are not Yuppies. We just want to have a good time with family and friends, who we don't see enough." And here we are, back at our favorite venue. As you might have noticed, we are quite often at the beautiful LaDü in Düsseldorf. But yes, we love it there. Which might be also due to the fact, that every single wedding we accompanied there, was absolutely enchanting. Same applies to the wedding of Jessica & Matthias. 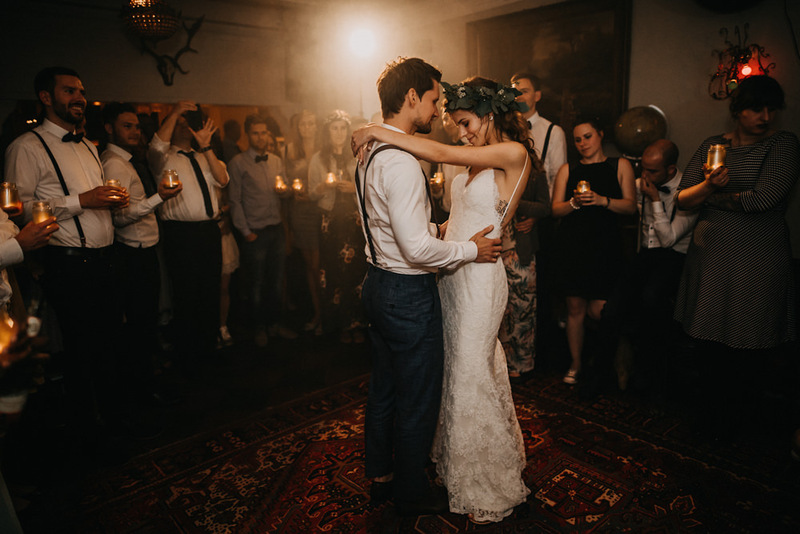 Even though nowadays the term "elopement" is found in nearly every wedding blog, the question remains what exactly is meant by this. 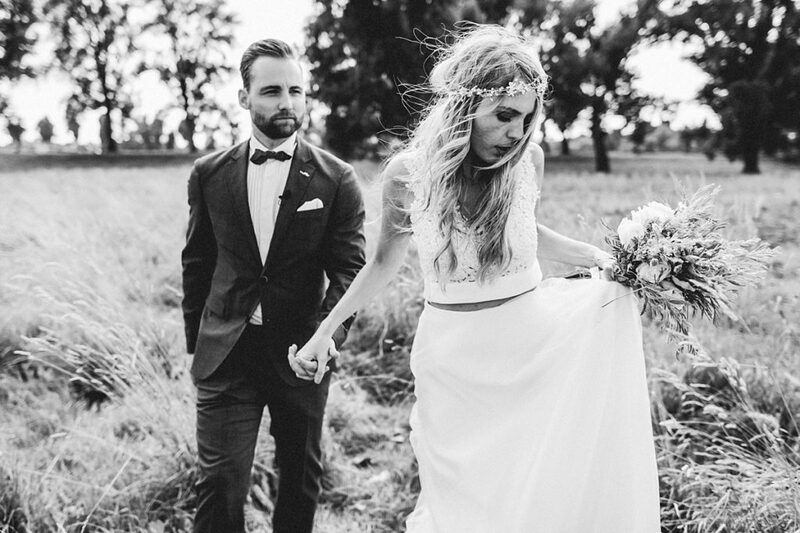 Strictly spoken, it means to runaway for your wedding. More and more couples decide to travel to a special place for an intimate wedding, just the two of them (or sometimes with a registrar). The past years, we received several enquiries for elopements and we just love it. Same as we loved it with these two in Santorini. I assume everyone has once dreamed about Santorini. Iris and Henri, without knowing Santorini, were convinced that this is the place for them to marry. 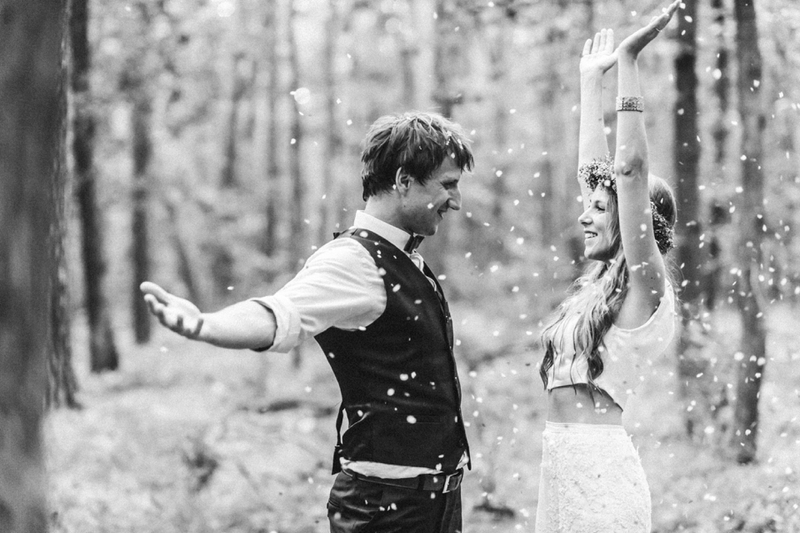 Yes, you can have a great wedding in winter, too. Our cute couple Mirja and Oli decided to get married at La Dü in Düsseldorf. The wedding was completely planned by Annie from wearealljustLovers, who probably many of you know from her emotional wedding. It was absolutely perfect. The weather was cold and everywhere you could find little lights that created a cozy christmas atmosphere. Kinsey - an amazing photographer, Josh - a talented musician, and Banjo - one of the coolest dogs we've ever met: this combination definitely has Hollywood movie potential! "Everyone shall wear white clothes so that we don't stand out". I think this sentence describes Laura's and Alex's character best. Together with their closest and loved ones they wanted to celebrate their love. Their priority was that everyone feels comfortable and has fun, and yes, it worked! 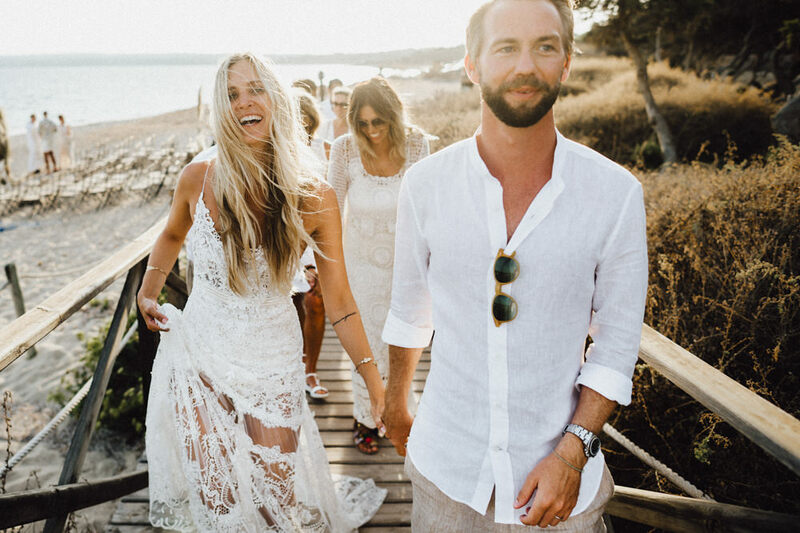 A quite unconventional wedding on the beautiful island of Formentera, near Ibiza. Wer Kristina und Daniel nur ein bisschen kennt, der weiss, die beiden gehören nicht nur zusammen sondern haben auch beide das Herz am rechten Fleck. Ihre Hochzeit sollte nicht nur ein Fest für die beiden sein, sondern auch für alle die mit dabei sind und ihre Liebe feiern. Ja Merve und Nils. Das romantische, verliebte und wunderbare Paar aus dem Schottland Video, hat sich nicht nur in Schottland bei Wind und Regen die Liebe geschworen. Für Kazu war es Liebe auf den ersten Blick. Und auch wir waren ganz verzückt von den beiden, als sie zu uns kamen um über ihren grossen Tag zu sprechen. 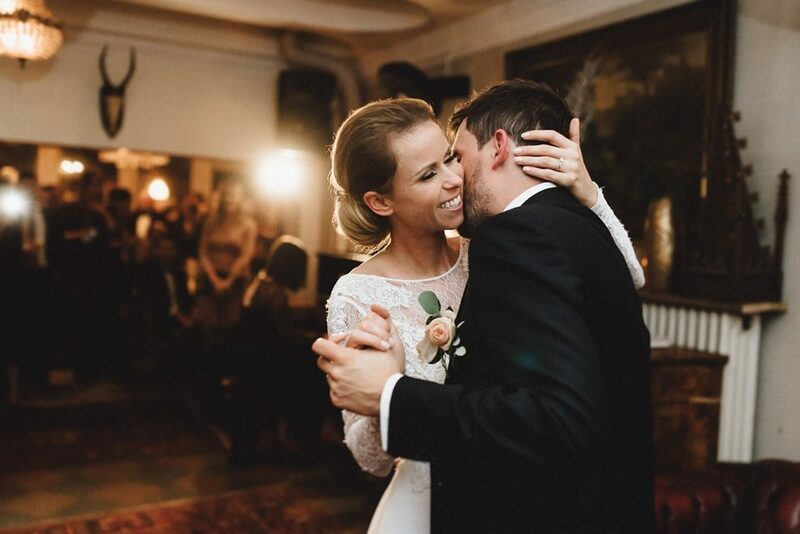 Als Anna & Daniel letztes Jahr zu uns kamen um über ihre Hochzeit zu sprechen waren wir direkt verliebt in die beiden. Seit fast 14 Jahren sind die beiden schon ein Paar und immer noch so verliebt wie zwei Teenager! We often get asked how we (Anne& Ricardo) want to get married. The wedding of Saskia and Pierre definitely comes pretty close to it. We would probably prefer a venue in Tuscany so that at least one of us understands everything ;-) But for the rest, it would be pretty similar. When they came to us and told us their plans, we were already on fire! Both had a clear vision of their special day with it being especially easy and casually. A relaxed and quiet beach bar on a secluded and hidden beach, with a hippie touch, barefoot, good food, relaxed music, a nice sunset and smiles on everyones face. Erinnert ihr euch noch an die Hochzeit von Sophie und Peter in Thailand? Dort lernten wir Niki und Kerron kennen. Kerron erzählte uns damals von seinem Plan, dass er Niki in kürze einen Heiratsantrag machen möchte. Kurze Zeit später kam dann ein Anruf von dem schönen Londoner Paar, dass sie heiraten und zwar in Trinidad! Wir waren begeistert und freuten uns sehr, dass sie uns mitnehmen wollten. 2015 heirateten gleich 2 beste Freundinnen von Anne. Während Tina alles sehr lässig anging und erst 2 Monate vor der Hochzeit etwas konkreter plante, war Sharon von Anfang an Feuer und Flamme. 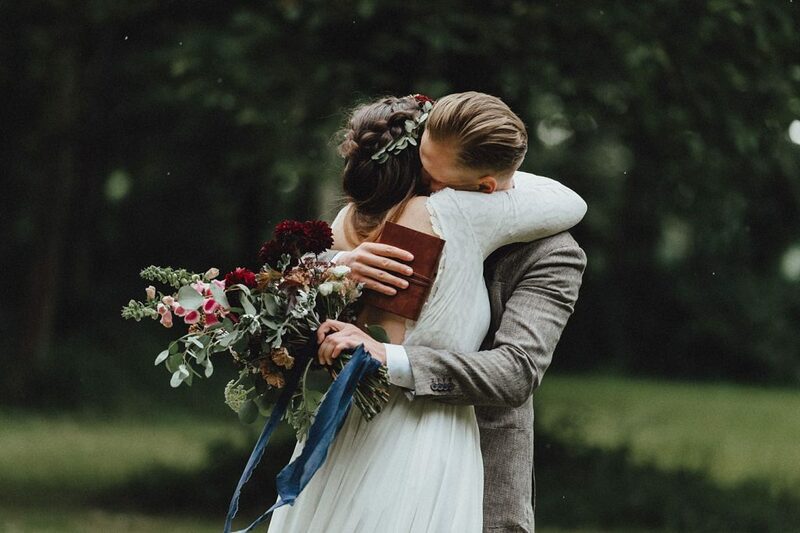 Hochzeitsblogs und ganz Pinterest wurden nächtelang durchstöbert und dann wurde wieder alles über den Haufen geworfen.